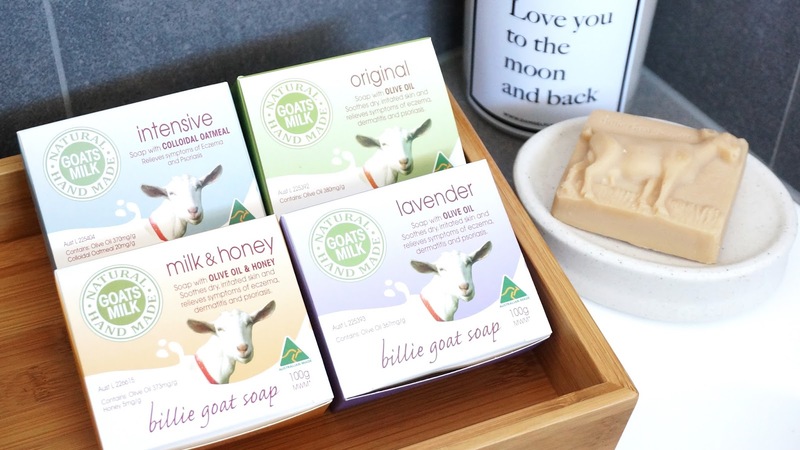 Walk into any pharmacy, you would have seen boxes of Billie Goat Soaps hanging out on the shelves. Have you ever picked up one to try? Today, I'm taking you into my bathroom. My lovely ex-housemate, Elaine, gave me my first bar of Billie Goat Soaps a few years back. We both have very dry skin and eczema. Since the weather in Melbourne isn’t very forgiving, my skin condition just gets worse in the cold winter. So naturally, we would always exchange tips on how to manage the symptoms, to calm the skin and to avoid a flare up. I have been using Billie Goat Soaps for quite some time now and my skin has become a lot more stable than before. Every now and then I tend to switch up my body wash to try something new, but their soap has always been a staple in my bathroom – just in case I get a sudden eczema attack (no, nobody wants that). 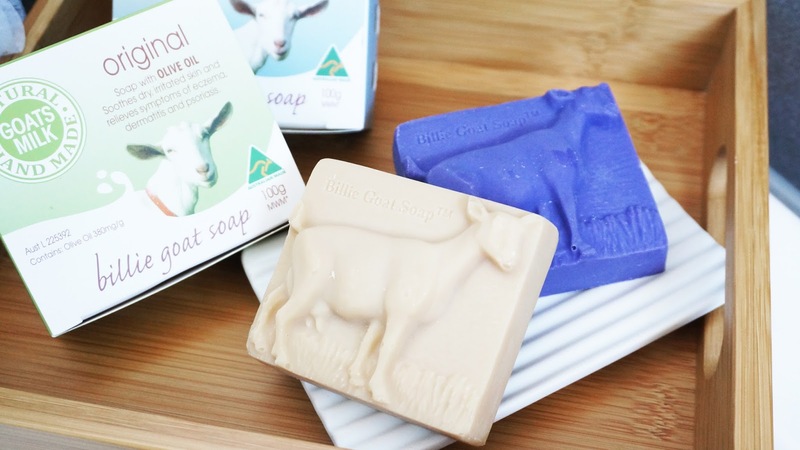 Billie Goat Soaps have been around for over 10 years. Back in 2005, a caring mother started searching for natural treatments for her little boy who was suffering from eczema. After taking soap making classes and numerous trial and errors, she created the first batch of Billie Goat soap. Seeing how effective the results were on her son, she knew she had to share her remedy with others who have eczema and other serious skin conditions such as psoriasis and dermatitis. 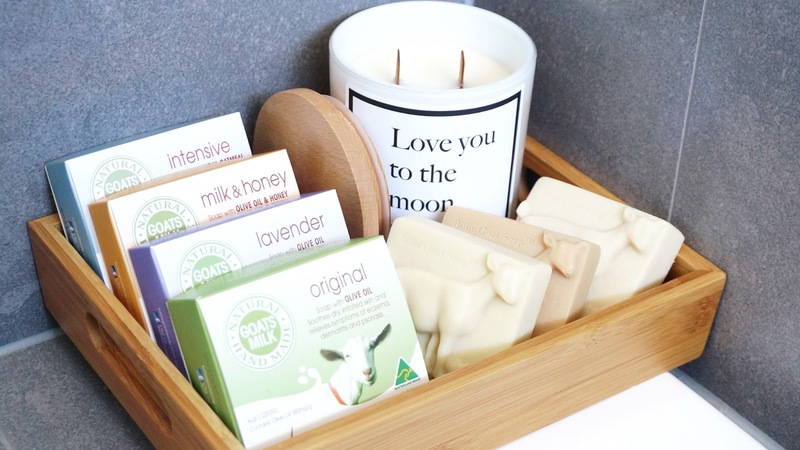 They are made with only fresh Australian Goats milk produced from our Aussie farms and a unique blend of natural and nourishing oils - including Olive Oil, Grape Seed Oil, Sweet Almond Oil, and sustainable Palm Oil. These ingredients provide nourishing and moisturizing benefits that relief dry and irritated skin. Their soaps are not only your body’s best friend, you can use them to cleanse your face too. They are free from all the nasty ingredients (SLS, colour, parabens, fragrance). 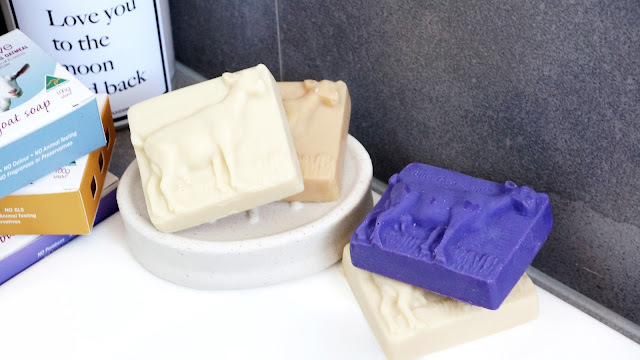 Over the years, I have tried all four types of Billie Goat Soaps – Original, Lavender, Milk & Honey and Intensive. The lavender soap has added lavender oil for its calming benefits and the milk & honey soap contains manuka honey that can further moisturize the skin. The intensive soap is specially formulated with colloidal oatmeal to help manage eczema and psoriasis. My personal fave out of the bunch is the original soap. I love how it’s simple, so gentle and effective on the skin. When using it, my skin never feels dry or tight after I shower. I wouldn’t have the need to immediately apply body cream and that’s a good sign. I also enjoy using the intensive soap when my skin is extremely dry and having a rough time. I find it really helps to calm the irritation, reduce redness and also relieve the itch. If you have skin issues like me or are experiencing extremely dry skin, don't look past Billie Goat Soaps ($8.95 AUD) the next time you see them on the shelf. It might just be the natural treatment you have been waiting for. You can also order directly from their website, I have a discount code 'HANI20', which will give you 20% off your order (no affiliation). What's your natural remedy for dry skin and other skin conditions? 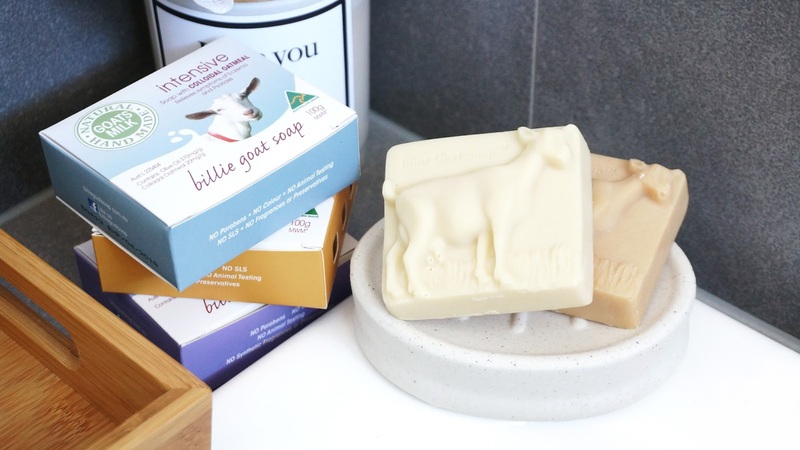 Have you tried Billie Goat Soaps before? *This post is kindly sponsored by Billie Goat Soap and products were gifted to me. 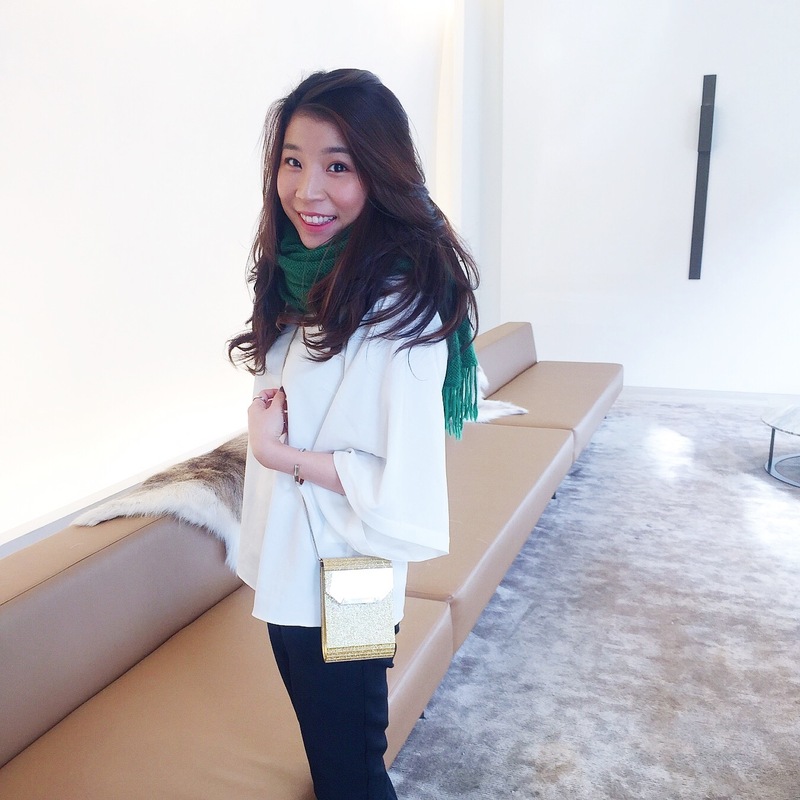 All thoughts on everything shared on this blog are entirely my honest opinion and are based on my personal experience with the products and the brand.